Make sure to winterize your home before the cold months arrive. This process involves activities and projects to get your home ready for the cold season and ensure that it stays warm and protected. The winter weather can be harsh, and without enough preparation, excessive snow and moisture can result in costly structural damage. Before winter arrives, it’s always best to consult your trusted home improvement company to learn the right projects to tackle. Peak Roofing Contractors, the leading handyman in Manassas, VA, shares tips to help you get started. One of the best ways to brace your home for the onslaught of hail and snow is to give your roof some fine-tuning. Over the past seasons, it’s possible that your roof has accumulated wear and damage that went unnoticed. Letting an expert roofer inspect and repair it will keep your home drier and more comfortable. A well-maintained roof will also help insulate your home and reduce your heating bills. Your gutters in Manassas, VA, protect your home from all types of water damage. They direct rainwater away from your home and into the proper drainage systems, preventing flooding and structural damage. Increase their protection for the upcoming winter with high-quality gutter covers. They can filter out debris and ensure the free flow of water in the system. We can install gutter protection onto your gutters to increase their efficiency and performance. As it covers a large part of your exterior, your siding takes the brunt of intense snowfall and storms. As one of the leading siding contractors in Manassas, VA, we will inspect your siding for holes and cracks. If it’s better to replace your siding altogether, we can offer you top-notch products with superior weather resistance and insulation. 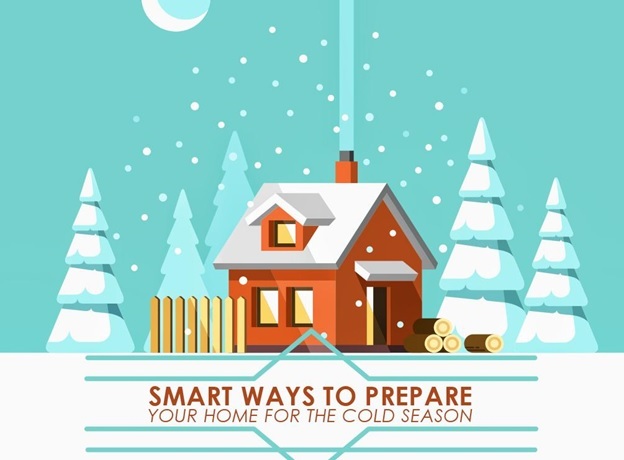 Try these projects to prepare your home this coming winter. These are ideal at keeping your interior comfortable and protected from the elements. If you want to learn more about our services, call us at (703) 745-5153.